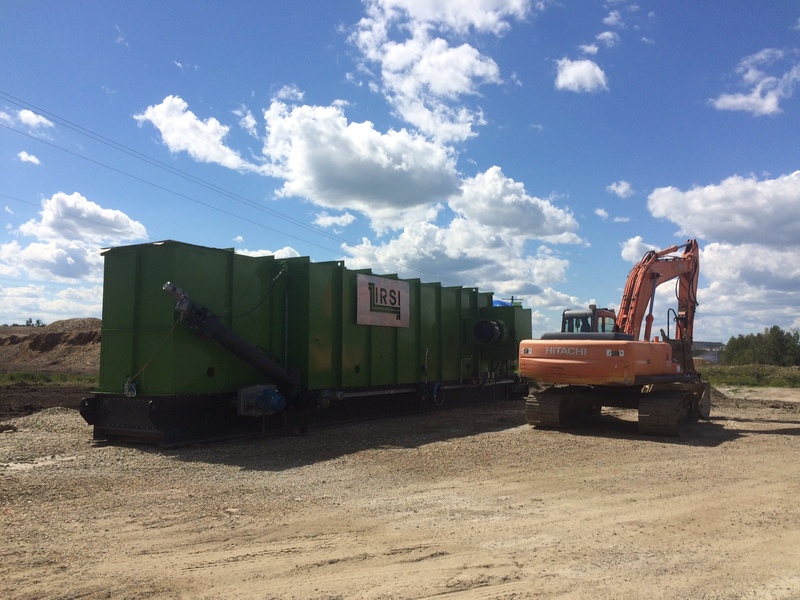 The Ulysses Pyrolysis System’s setup in Drayton Valley is heading into the home stretch! IRSI is very excited to begin the demonstration period facilitating the production of large volumes of Biochar for the Western Canadian market. 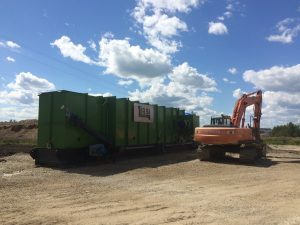 Alberta Innovates Technology Futures will be on site following the start up of the demonstration period to perform full performance validation and testing on the feedstock and Biochar end product. The framework of the Ulysses demonstration project will showcase the Ulysses’ ability to reduce large volumes of waste material (ex. sawmill wood residue, construction and demolition waste), produce high quality Biochar, produce value-added charcoal for landfills, demonstrate the viability of pyrolysis for heat and power generation, and confirm the value proposition of the Ulysses for waste reduction and Biochar production. IRSI has a number of interested parties, project developers, companies, and academic institutions excited about the start up of the Ulysses Pyrolysis System. Stay tuned for further developments in the next month.